One of the developers of Apex Legends hid a tribute to his dog in a corner of the battle royale’s map. Jason McCord, lead level designer at studio Respawn Entertainment, tweeted about the easter egg following its discovery last night. 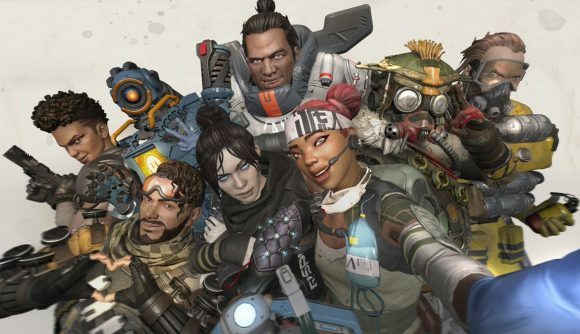 An article by Kotaku noted that Apex Legends players have been finding tiny plush animals hidden throughout the game. Some of those are Loch Ness Monsters – Nessie has been a recurring Titanfall easter egg since the release of the first game – but one in particular featured a small dog on a cushion, as well as two images in photo frames. Below, McCord shared the image of the shrine captured by Kotaku (which you can see for yourself below). As well as the small dog toy, it features a real-life image of Shadie, and a photo of McCord and his wife. 2019 has already been big year for in-game canine tributes. Last month, Ace Combat 7 brand director Kazutoki Kono revealed that the game’s iconic ‘jpeg dog’ was included in memory of a developer’s pet that died during development. Happily, Apex Legends has got off to a massive start – its player count topped ten million in just 72 hours – meaning Shadie’s memory will hopefully be kept alive by other players stumbling across it.